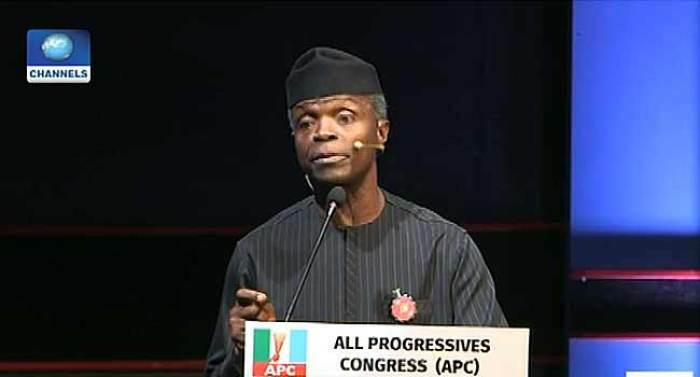 The Vice President, Yemi Osinbajo, has come hard on the People’s Democratic Party (PDP) again, saying that the party failed to complete a single major infrastructure project in 10 years while in power. Speaking at the 11th Bola Tinubu Colloquium held in Abuja on Thursday, Osinbajo lamented that Nigeria earned $383billion in four years, 2010 – 2014, the highest ever in the history of our country, yet Lagos-Ibadan expressway was not done. “Lagos-Kano Railway and all that is being done today, not done then. We cannot point to a single major infrastructure project that was completed in the 10-year period, despite the high earnings, including power. “So, a government coming after so many years of waste must be a government, first, that emphasizes fiscal prudence, a government that emphasizes integrity in public finance so that it would manage the little resources to achieve the maximum that can be achieved. “And that is what President Muhammadu Buhari set out to do. As I keep saying, the president has never claimed to be an orator. He just gets things done,” he said.